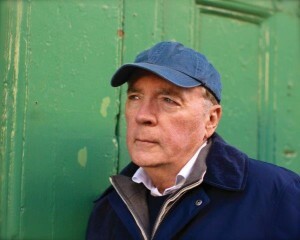 2015-2016 AASL President Leslie Preddy selected bestselling author James Patterson as the 2016 Crystal Apple recipient. The honor is awarded to an individual or group that has made a significant impact on school library programs and students. A staunch school library advocate, Patterson has dedicated both time and funds to promote the ways school libraries transform a child’s educational career. Patterson was unable to attend the AASL Awards Ceremony during the ALA Annual Conference in Orlando. Sabrina Benun, a representative from Hachette Book Group, shared the following remarks on his behalf. It’s been a difficult few weeks here in Orlando. And, I’m sorry that I can’t be there today, with all of you, especially in my home state of Florida. I’m so happy to be receiving the Crystal Apple award. My mother was a librarian. When I was growing up, I spent half of my youth in libraries. And so, it’s a special honor to be recognized by the American Association of School Libraries today. Thank you for this award and thank you for all you do in your libraries, in your schools, and in your communities. Last year, I launched a campaign with Scholastic to give grants to school libraries. And, we received over 28,000 entries that all said please help. The need is there. This year, I launched another campaign with Scholastic and we’ll be announcing the libraries that will be receiving grants later this year. These grants help the school libraries and they lift morale. But more importantly, they shine a light on a much larger problem. A lot of libraries don’t have as many books as they should have. There are school libraries with books but no librarian or the library has been turned into a classroom. I hope that people will see that many school libraries are underfunded and it’s an unfortunate situation. I will continue to do all that I can to raise awareness and to help you in any way that I can. Thank you again for this honor. ‹ Vacation Resources: What Do You Pack?